Learn to Tie Your Own Flies! Fly tying is an interesting way of enjoying the sport of fly fishing, especially when the weather does not permit you to enjoy the sport itself. In just a couple of minutes you will be so focused on tying that the stress on any given day recedes to the back of the brain for a needed rest. 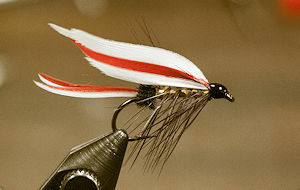 Tying is not difficult and you will see improvement within the first few hours of tying. Catching a fish on a fly you created puts a smile on your face. And giving some to friends is a great experience as well. 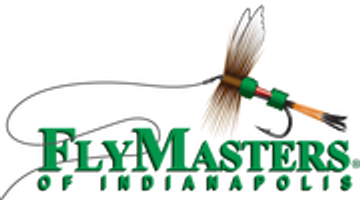 FlyMasters Beginning Fly Tying School is a four week course that meets Tuesday evenings or Saturday Mornings. You can choose to attend the Tuesday evening classes or the Saturday Morning classes. They are the same classes just different days to accommodate busy schedules. Instruction is one session per week (Tuesdays 6:30pm to 8:30pm or Saturdays 9:00 - 11:00am) for four weeks. Cost is $75.00 per student. The entire course is only $75.00 and all materials and tools are provided. The main focus of this course is to develop good hands-on techniques as well as emphasis on proper fly proportions and aesthetics. A student will advance more rapidly when they have equipment and materials to practice between classes. The flies selected for the class have been chosen because they help expose the beginner to the basic fly tying techniques while building skills and knowledge in each class on what you have learned before. Plus, all of the flies are good in our local warm waters. In the first class, students will tie a rubber spider and a woolly bugger when time permits, both extremely productive and popular patterns. Students will tie one or two different flies in each session as well as learn much information concerning fly tying, materials used and technique. The skills learned in tying the flies in this school will apply to all other flies any tier might wish to tie. Classes are a combination of information and instructions concerning tying materials, tool and techniques as well as step-by-step instruction for the flies tied in class. Tuesday 2-12-2019 6:30-8:30 pm is the first class, followed by classes on 2-19, 3-12, and 3-19. Saturday 2-16-2019 9:00-11:00 am is the first class, followed by 2-23, 3-9, and 3-16. Tuesday 4-9-2019 6:30-8:30 pm is first class, followed by 4-16, 4-23, 4-30. Saturday 4-13-2019 9:00-11:00 am is first class, followed by 4-20, 4-27, 5-4. Make up classes will be scheduled as needed due to illness etc. Look forward to teaching you fly tying. I have only been tying for 55 years. The Rubber Spider, the first fly you will tie! When you complete the Beginning Fly Tying class you can continue on to our Intermediate and Skills Development Tying Classes on Saturdays. These classes are designed to help beginning fly tiers continue their practices and learning in a relaxed, friendly and welcoming atmosphere to encourage them to enjoy fly tying. All sorts of different flies are tied throughout the year in our Intermediate classes. Bass, Trout, Carp, Salmon, Steelhead, Northen Pike and even saltwater species are all possibilities in our Saturday classes. Take a look at our class page for the Intermediate & Skills Development Fly Tying class to see just what kinds of flies we tie! 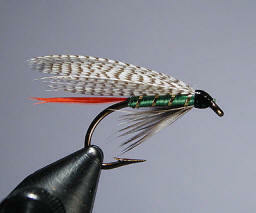 Our Beginning Fly Tying Classes fill quickly and are reserved on a first come first served basis. Payment is made in advance to confirm your reservation. To register for the class, leave your name and phone number with the store personnel (317-570-9811).